I have been dreaming of visiting the Big Apple for as long as I can remember and this year I finally made it happen! There is just something about this cosmopolitan city that I absolutely love and I am already so excited to return. If you are also planning a trip to NYC and are interested in what I got up to, today's blog post is the first of my NYC series covering the top things to see, do and eat (because who doesn't love food?) in the city. Top of the Rock - For incredible views of the city and a little history about this iconic skyscraper, be sure to get tickets for The Top of The Rock. If you are super organised you can book tickets online ahead of time otherwise simply show up on the day to purchase tickets at the desk. If you happen to be visiting near Christmas time you might enjoy a little ice-skating session in front of the famous Rockefeller Christmas tree featured in Home Alone 2! Top tip: Try visiting on a weekday if possible to avoid queuing and for better photo opportunities at the top. Times Square - If you really want to experience the hustle and bustle of this city, Times Square is the place to be. Stop for a bite to eat, watch a theatre show or simply people watch and take in all that there is to see. Statue of Liberty - The Staten Island ferry is a great way to view the Statue of Liberty for free. It is a daily service between Manhattan and Staten Island with an outdoor area where you can admire the figure and capture photographs as you pass by. Be sure to wrap up warm if you are visiting in the colder months as the breeze can be surprisingly strong at sea. 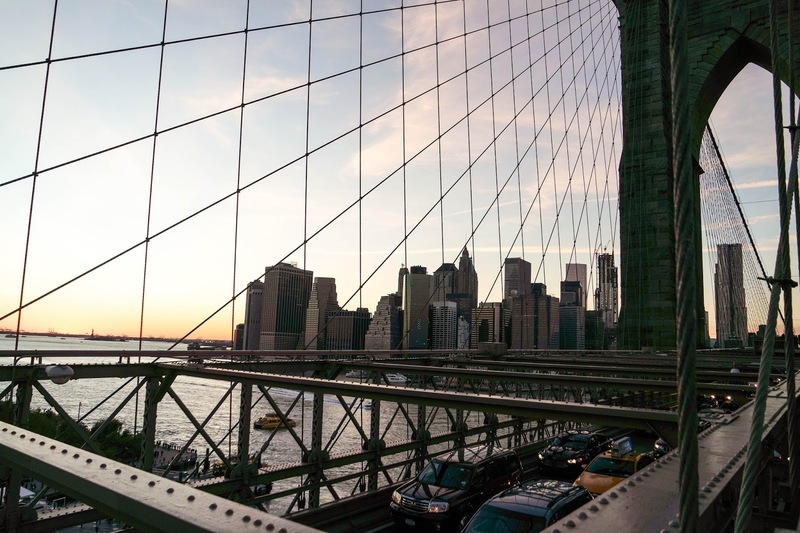 Brooklyn Bridge - A walk along Brooklyn Bridge during sunset is an absolute must. 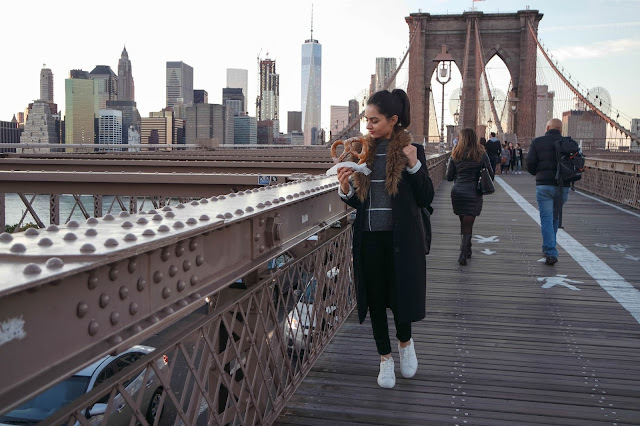 Grab yourself a coffee or hot pretzel and enjoy a peaceful stroll along one of the oldest bridges in the US for incredible views of the Manhattan skyline (and even the Statue of Liberty if you look closely). Grand Central - Not just any other train station, the majestic interiors and intricate details make this one of my favourite spots in the city. There is also an indoor food market selling everything from fresh fruit and veg to baked treats and unique loose leaf teas. The Chrysler building is conveniently located next to the station so you can check both spots off your list in one go! Upper East Side - Truth be told, Gossip Girl was certainly one of my reasons for wanting to explore this area of Manhattan. However if you are a Breakfast at Tiffany's fan, you can also find Holly Golightly's Apartment located at 169 East 71st Street (no big deal). There are a number of shops, cafes and galleries to explore in the area and Central Park is a short 10 minute walk away. Central Park - Did you know that Central Park is one of the most filmed locations in the world? I could spend hours walking around this park, especially during Autumn as the leaves are beautifully golden and there is a slight chill in the air. 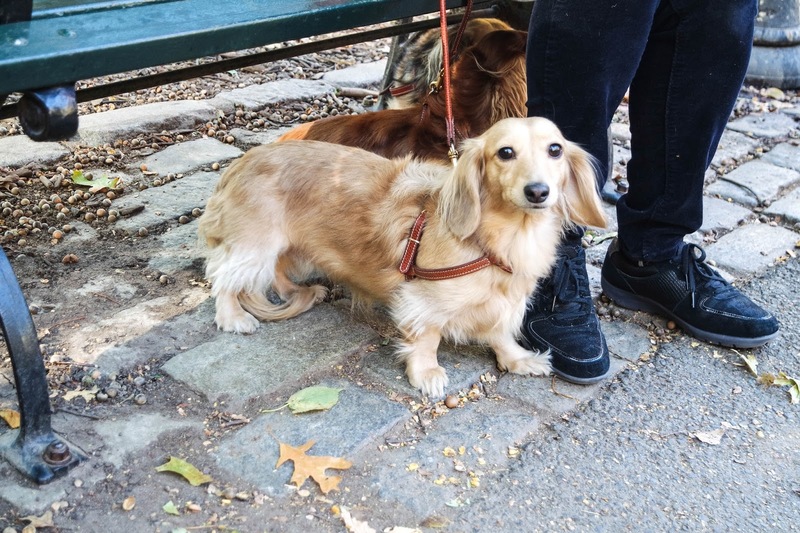 Find a bench to sit and enjoy live musicians, meet friendly dog-walkers (and their ridiculously adorable dogs) and sip a hot cup of coffee. 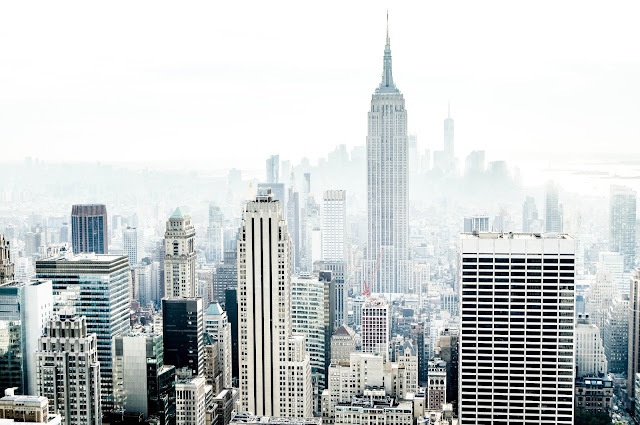 For more fun in the city, check out Part 2 of my NYC Guide here and my ultimate foodie guide right here (I'm talking vegan pizza guys!). This couldn't have come at a better time - I'm off to NY in January and was searching for things to do. can't wait to do some of these :) Looking forward to part 2! the doggies at the end! soooo cute. I'm planning on going to NY at the end of the year and your blog post has got me suuper excited! Thanks for the inspo!